For the children of South Jersey, few things compare to the thrill of getting to “drive” a big truck. 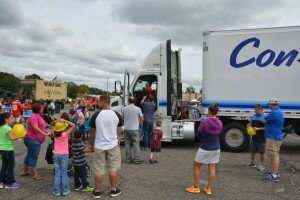 That’s exactly what they were able to do last September as Oaks Integrated Care hosted their annual Touch-A-Truck event at the Moorestown Mall. 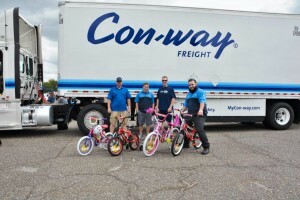 Con-way Freight provided tractor-trailers for the second year in a row. Employees from the company’s Cinnaminson service center also purchased four bikes for the auction, which was held at the event. The bikes were donated to local families in need.